Credit is a great convenience in today’s society. It allows you to make purchases now and pay for them later (although if you pay too late, you likely have to pay additional costs in the form of interest). Credit also relieves you from having to carry around a lot of cash. Credit card services may be provided directly by a retailer (e.g. The Bay) or through a third party (e.g. VISA). If you wish to obtain credit, you will have to prove that you will be able to pay off your debts. In order to keep the convenience of credit, it is important to establish a good credit rating. A credit rating is a measure of how dependable you are when it comes to repaying your debts. How Can I Establish a Good Credit Rating? Your credit history is recorded in files that are maintained by credit bureaus and other organizations. There are two major credit bureaus in Canada: EQUIFAX and TransUnion Canada. All credit granting organizations generally check your credit with the credit bureaus before issuing you a credit card, mortgage, loan, or other form of credit. They will also inform the credit bureaus of your credit, payment transactions, and history. Therefore, it is important that your credit record is in good standing and is accurate. To get a good credit rating, you have to show you are reliable in terms of re-payment. Try to make regular deposits in a savings account in your own name, even if you are not earning your own salary. Make regular and prompt payments on all chargeaccounts and utility bills (e.g. telephone, utilities). Pay back all loans on time. Note that if you are married, your credit rating may be linked to that of your husband. You may wish to ensure that your credit history is accurate, especially prior to making a credit or mortgage application. To do so, you can contact EQUIFAX or TransUnion Canada to receive a copy of your credit report. You can receive this by mail, free of charge, or view your credit report online for a fee. If something appears in your credit report which you feel is inaccurate, you can request that the information be corrected. You can also add explanatory comments to your report. If I Am Married, Can I Get Credit in My Own Name? You will be entitled to the same consideration as a man in similar economic circumstances. If you are a homemaker or if you do not have a separate credit rating, you may have to use your husband’s name. To get an independent credit rating, you should first build up a good record with your bank. The credit limit will be low at first, but it will gradually increase. 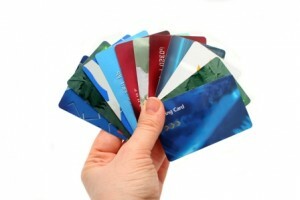 Eventually you will be able to apply for other credit cards. What Should I Do If My Credit Cards Are Lost or Stolen? Call the bank immediately; the toll free or local numbers will be listed in your directory. It is a good idea to write down your credit card numbers and their toll-free phone numbers and keep them separate from your cards. Depending on the terms of the agreement you sign, normally you may be liable for the first $50 of charges. If you delay, you may be responsible for a greater amount. Some organizations require that you notify them in writing if your credit cards are lost or stolen, in which case you could send a fax to reach them quickly. There are two basic types of loans: secured loans and unsecured loans. When you obtain a secured loan, you put up a valuable item (e.g. a vehicle) as collateral or security. This means that you keep possession of the item, but the lender has a security interest on the item until you pay back the loan. If you fail to make payments on the loan, the lender can seize the item which was put up as collateral. You may be able to obtain a secured loan at a lower interest rate than an unsecured loan, because when you obtain an unsecured loan, the lender has only your promise to repay. Generally, loans from your employer, credit union, cooperatives, and trust companies offer the best terms; that is, lower interest rates and variable repayment periods. Chartered banks usually demand higher rates than credit unions and trust companies. Finance companies ask for extremely high repayment rates, and should be avoided if at all possible. Certain life insurance policies allow you to borrow money on the policy at a low interest rate. In any event, you can always get a cash advance on your policy. The amount of the advance will depend on how many premiums you have paid. This money will form part of your taxable income. You may use your bank credit card (e.g. VISA) to obtain a cash advance, but the interest charges are very high. What If I Am Asked to Co-Sign A Loan? When you co-sign a loan, you have promised that you will be responsible for the entire amount if the original borrower fails to make payments. Often, you are asked to co-sign a loan for a spouse or a teenager. Make sure that you are both willing and able to repay the loan before co-signing it. Remember when you co-sign or guarantee a loan, you are entering into a contract with the person or company who lends the money. If you and your partner or spouse separate, it is not enough for your partner or spouse to give you an oral or written agreement that he will pay back the debt which you co-signed. You must obtain a release from the creditor. The release should be in writing. For example, your separation agreement states that your husband will be responsible for all unpaid loans for which you had cosigned. If you do not have a written release from the bank and your husband neglects to pay those debts or declares bankruptcy, the bank could sue you for the debt. You would then have to sue your husband for the money and it may be impossible to collect it. Even if you cannot collect from him, the bank would be entitled to collect from you. What If I Have Too Many Debts? To maintain a good credit rating and avoid having to declare personal bankruptcy, you should make every effort to sensibly manage your debts. If you are deep in debt, it is wise to reduce living expenses if possible, to speed repayment. You might want to get a second job for a while and stop using your credit cards until you are financially stable. Consolidation or refinancing may be a good idea if you can get a lower interest rate and a comparable repayment period. For example, it is a good idea to obtain a low interest rate loan to repay several high interest rate credit card debts, provided that you do not use your credit cards until the consolidated loan is repaid. Get further details from your bank loans manager if you are considering this. Another possibility is to join the Orderly Repayment of Debts program offered by Alberta Consumer and Corporate Affairs. 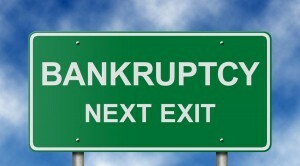 They offer financial counseling and will help you plan a budget and get your creditors’ agreement to a repayment plan. Whether you are single or married, it is important to have a good understanding of your finances. The easiest way to do this is to create a budget. A budget tells you how much money you have and how much money you need. To create a budget, you should first record all sources of monthly income. Then create a list of monthly expenses—decide which of those expenses are “fixed” like rent or a car payment, and which are “variable” like food or entertainment. Next, total your monthly income against your monthly expenses. If this shows more income than expenses, you are off to a good start, and you can allocate the extra to retirement savings or paying down more debt. If your expenses are more than your income it means you will have to make some changes. This can be done by trying to lower your variable expenses or increasing your income. You should keep track of all your income and expenditures and review your budget regularly—weekly or monthly. That way you can see where you have done well and where you could improve.